Whether you need storage for a few days or a few years, Kearney Moving is proud to offer our customers a full service storage facility. Our 14,500 sq. ft. facility provides all of our customers with safe and secure storage during their time of transition. All items are inventoried, insured, and placed in industry standard storage vaults until delivery is needed. 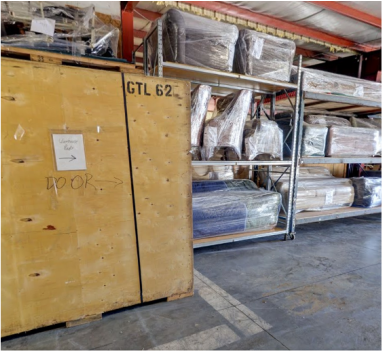 Our rates are based on the weight of the shipment being stored as well as the labor required to place the items into storage. Call today for a free estimate for your storage needs.